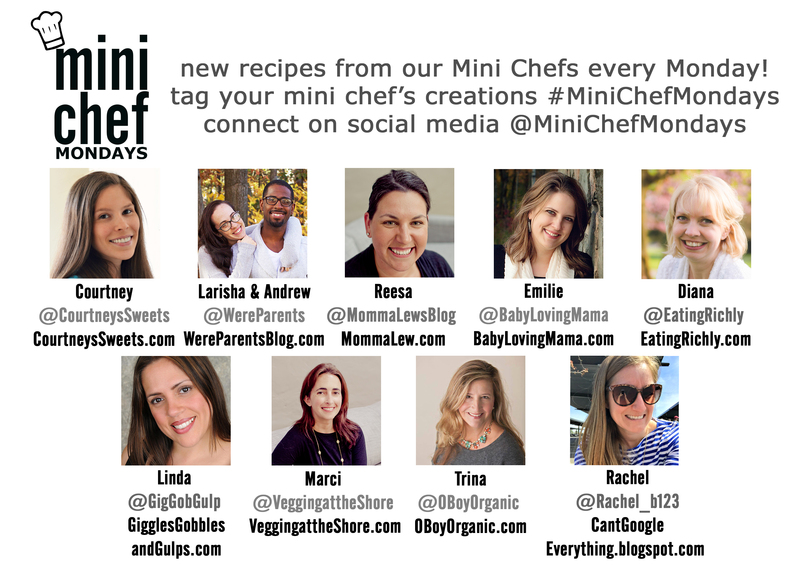 This week’s Mini Chef Mondays recipe is super simple. As in four ingredients simple. 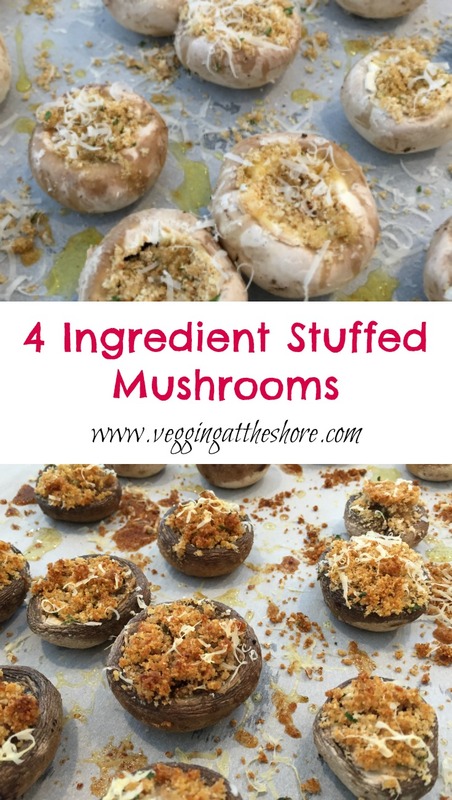 One time, on a whim, I made stuffed mushrooms as a side dish for dinner and my son (and husband) fell in love with them. Now whenever we receive mushrooms in our Door to Door Organics delivery, we make them. 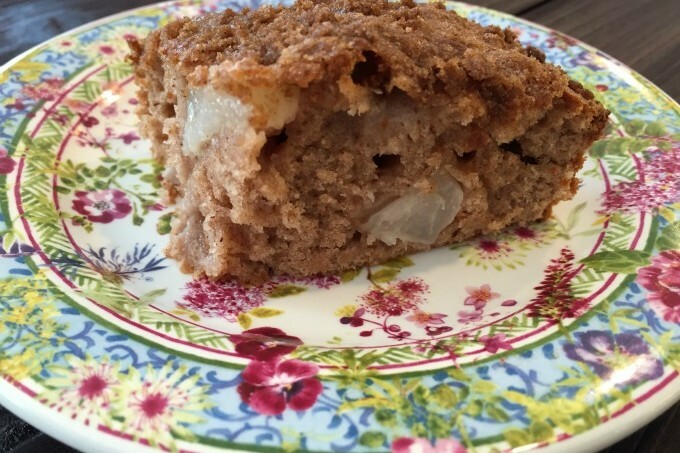 With only four ingredients it’s so quick and delicious. 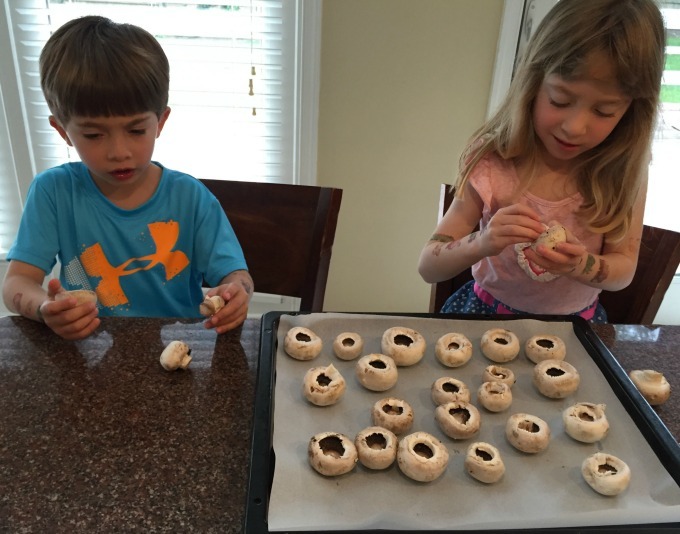 My daughter doesn’t like mushrooms…yet. She always tries them. I think it’s just a matter of time before she comes around to them. You start by removing the stems from button mushrooms or baby portabella mushrooms. Arrange those on a baking sheet. 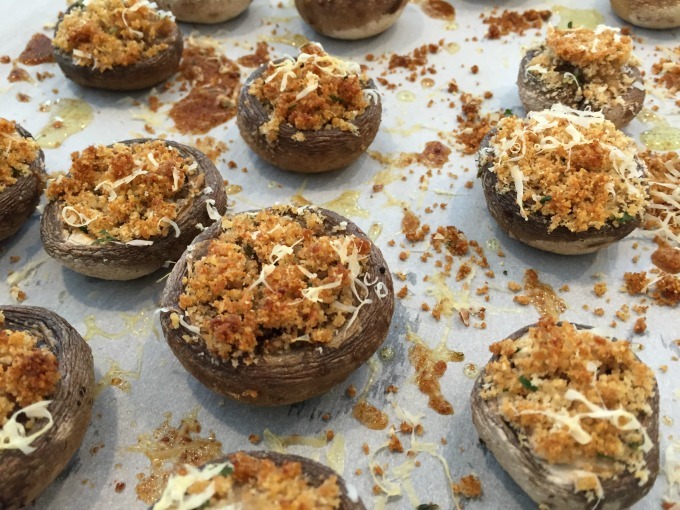 Next mix together seasoned breadcrumbs with olive oil and add a spoonful to the mushroom caps. Give those a drizzle of olive oil and top with some freshly grated parmesan cheese before baking for 15 minutes. 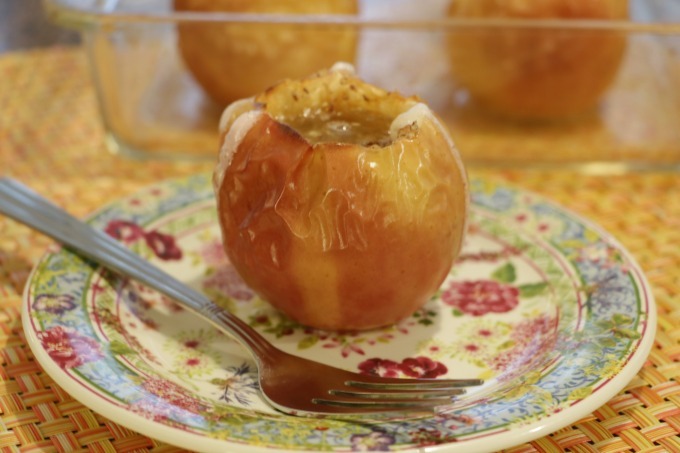 When they come out of the oven they will be crispy and delicious, perfect as an easy weeknight side dish! Preheat oven to 400. Remove stems from mushrooms and arrange mushroom caps on a parchment lined baking sheet. Combine breadcrumbs and 1.5 tablespoons olive oil in a bowl. 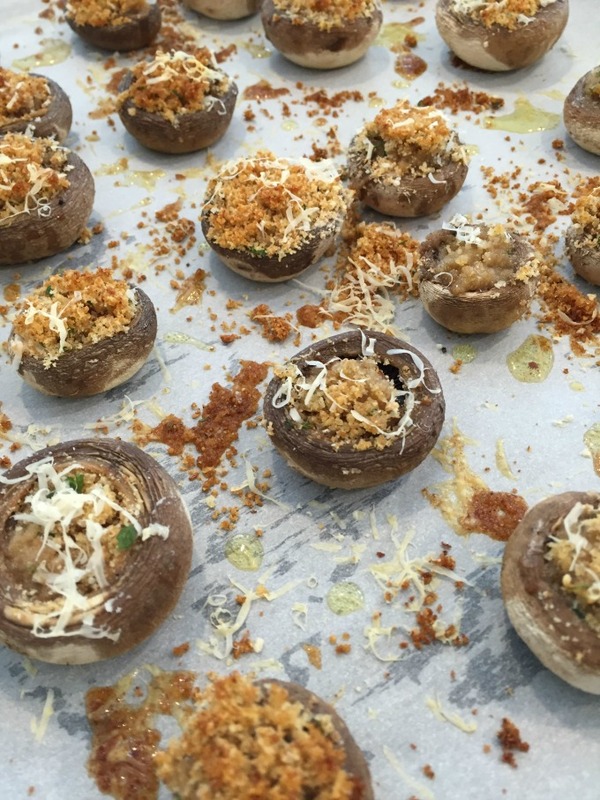 Add a spoonful of breadcrumb mixture to each mushroom. 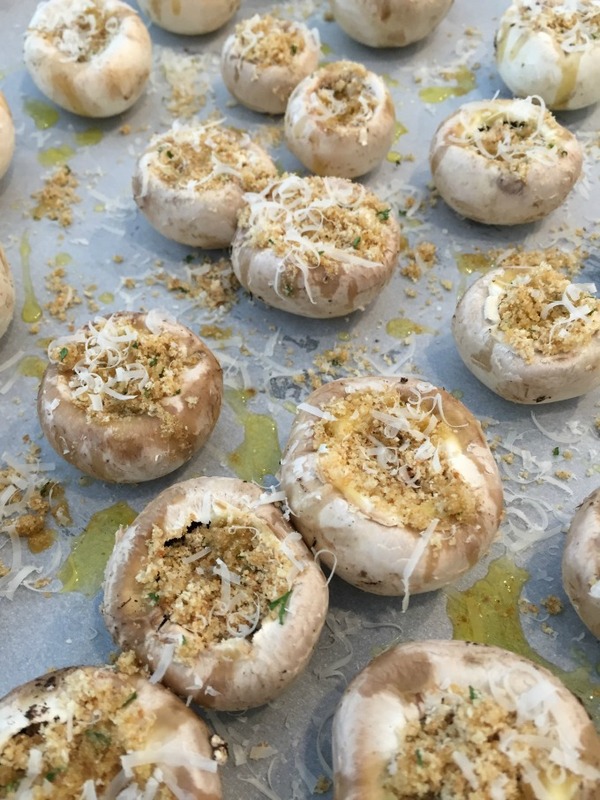 Drizzle mushrooms with olive oil and top with grated parmesan cheese. Cook for 15 minutes. When my husband was wooing me in college, he made me a stuffed mushroom recipe that he got from his grandmother. It's one of my fondest memories of our early days together. 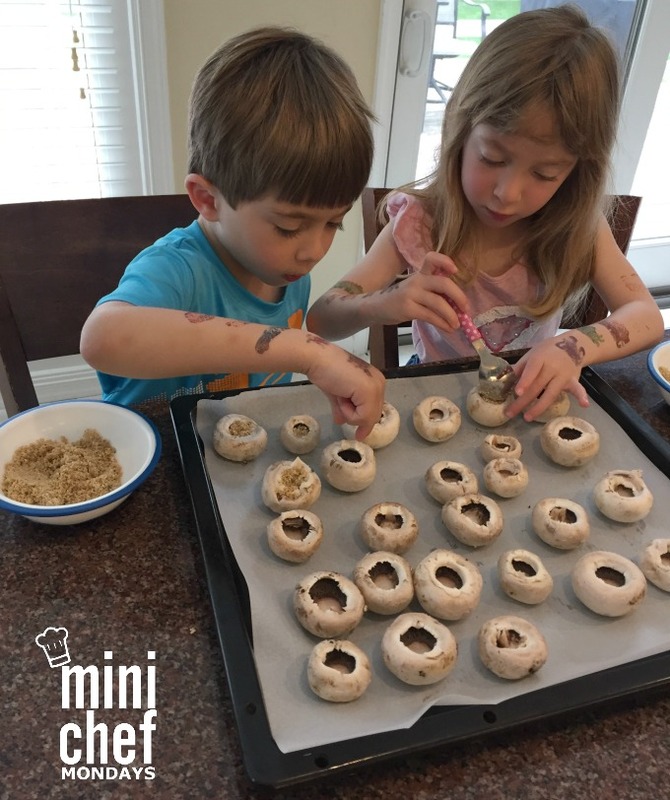 I love that you are sharing it with your kids - it's such a perfect recipe for little hands to make. You have no idea how much I love this - I may be an adult - but I am not comfortable in the kitchen. I feel like this I could do! Baby steps for me! Thank you! 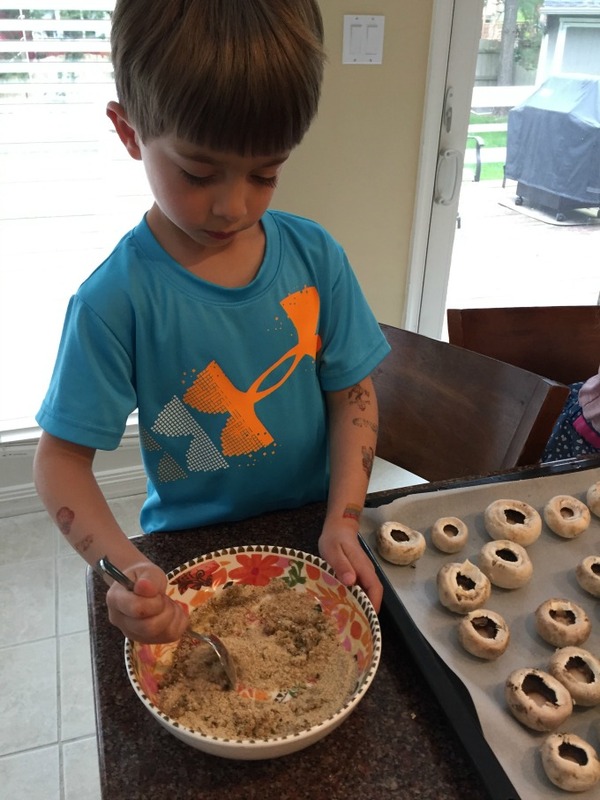 Great recipe to make with the kids, but mine are not fans of mushrooms - yet! I love how simple these are! My children can prepare the entire recipe without my help until its time to pop them in the oven. Sounds like a win to me! I have a small container of mushrooms left from a recipe, so I'll scale this back a bit, and we will try them this afternoon. Thanks! I love mushrooms. They look so good. I love Stuffed Mushrooms!! Will have to try this soon. 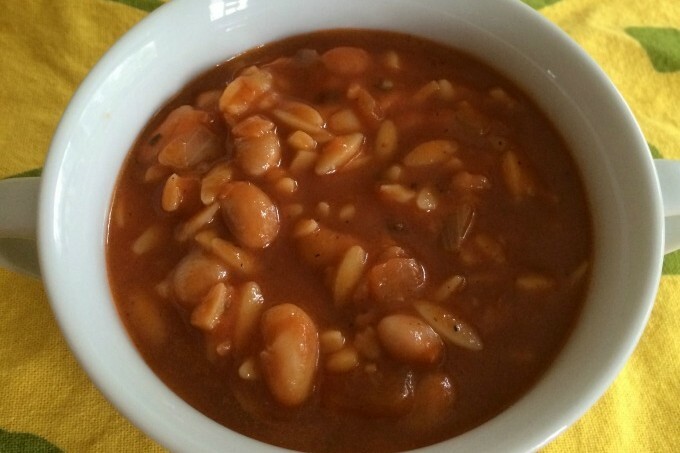 4 ingredients and 15-20 minutes is a winner in my book for sure! !